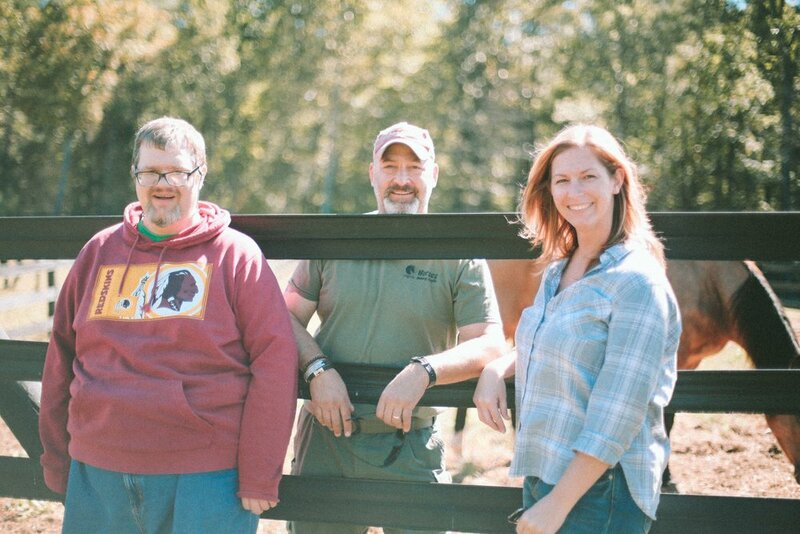 This week, Ashley, our I/DD Program Development Manager, and Doug from our Community Engagement program were invited to spend a calm, autumn day on thirty-three acres of farmland in Doswell, Virginia. The farm, called Checkpoint One, was founded by Andy Kaufman and Kristin Fitzgerald to provide animal therapy. Friendly animals and beautiful scenery help treat trauma and foster mental health. 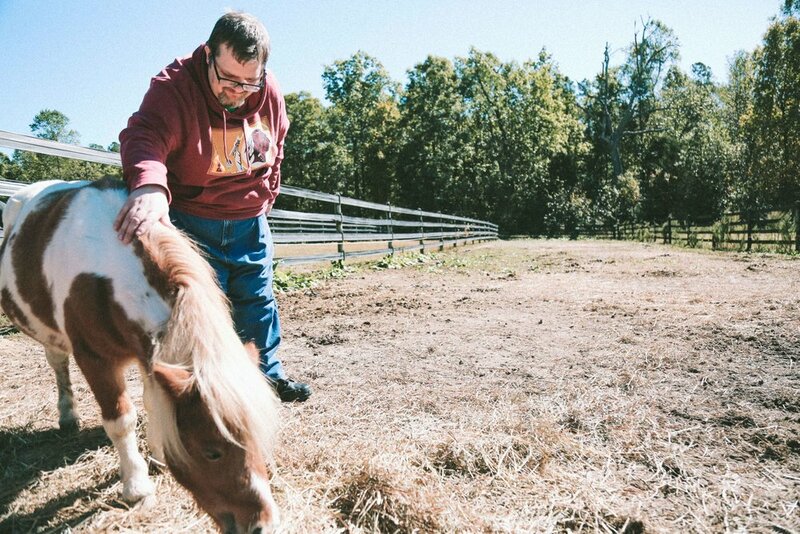 While at the farm, Doug got to know several horses, and even named three of them! Cocoa, Coconut, and Trouble Maker. Doug and Ashley pose for a photo with Checkpoint One's co-founder, Andy. Checkpoint One opens their doors mostly to military and first responder families in need of healing and wellness, but others are welcome, too. We're thankful to Checkpoint One for inviting Ashley and Doug to visit, and we hope to return soon! Now offering Community Engagement & Community Coaching! Good Neighbor is now offering Community Engagement & Community Coaching services! Community Engagement & Community Coaching assists individuals with intellectual and developmental disabilities in accessing and participating in the community outside of their homes, employment, and day programs. For more information, head over to goodneighbor.care/cecc!